Sofia Segovia was born in Monterrey, Mexico. She studied communications at Universidad de Monterrey, thinking that she would be a journalist, but she was drawn to fiction. A creative writing teacher, she has also been a ghostwriter and communications director for local political campaigns. 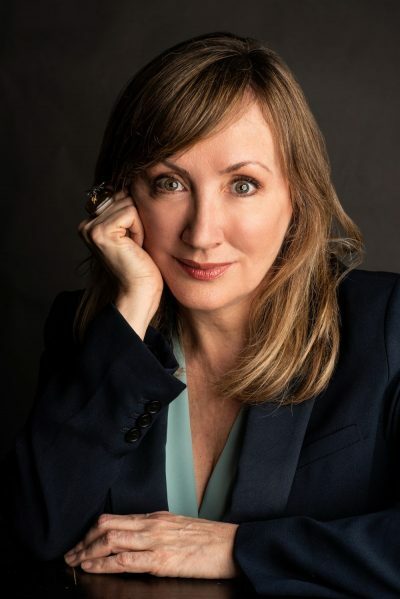 She also has written several plays for local theater. 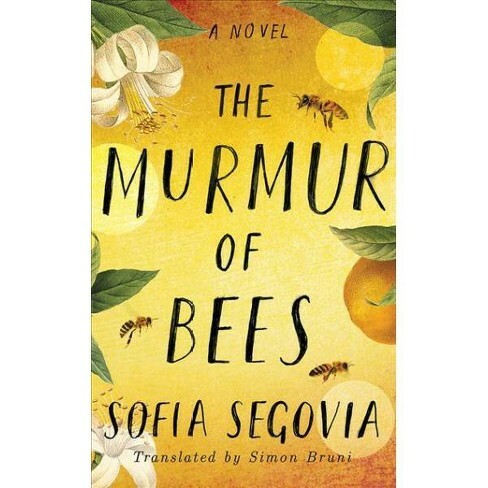 Segovia is most-renowned because of her novels, and one of her most beloved works, El murmullo de los abajes, will be published in English for the first time as The Murmur Of Bees, with the translation masterfully done by Simon Bruni, whom you can learn more about at simonbruni.com. The Murmur of Bees, which is set against a backdrop of the Mexican Revolution and the Spanish influenza of 1918, is the story of a remarkable young boy who is physically disfigured but psychically gifted, and his profound effect on a close-knit farming family who adopts him in a village in northwest Mexico. From the moment Nana Reja found the baby abandoned under a bridge, the lives of the members of the Morales family are forever changed. Covered in a living mantle of bees that will accompany and guide him his entire life, little Simonopio is for some locals the stuff of superstition, a child who has been kissed by the devil. Despite those fears, Francisco and Beatriz Morales welcome him into their home as if he were their own. As he grows up, Simonopio reveals his remarkable talents. When he closes his eyes, he can see what no one else can. He has visions of all that is yet to come, both beautiful and dangerous. Simonopio is followed by his protective swarm of bees and he lives to deliver his adoptive family from threats, both of which come from human and nature. His purpose in Linates will soon be divined. Segovia was inspired to write this novel by the stories her grandfather told her about his life in Linares and by her determination to offer a fresh perspective on a time and place she felt have been overlooked in the official history books. The Murmur of Bees is unpredictable and heart-rending, a novel both grand in scope, capturing the fate of a country in flux, and deeply personal, with its intimate portrait of a family that has put their love, faith, and future in the unbelievable. My novel, The Murmur of Bees, starts with a journey: an old man gets up from his Lazy-Boy in present-day Monterrey, Mexico and travels towards nearby Linares without realizing that his true destination is in his lost childhood memories. He symbolizes all that we purposefully try to forget - personally, collectively, or officially. And all that can't be gained by remembering. Fiction or not, most books about the 1910 Mexican Revolution portray almost the same story: one region (the south), one valid ideology, one gender, one truth, one point of view, one way to be good or evil. At first, the Revolution was about the right to vote and no reelection - a quick fix, a change of government - but it evolved into a gruesome fight of brother against brother at the southern call of "Land and Liberty!" The northeast region, and hence Monterrey and Linares (located 120 and 220 miles south of the Texas border), where the painful social injustices of the south were alien, is rarely featured in literature. It's as if the Revolution had never touched this land. So Mexican history as it is officially documented remains incomplete. With The Murmur of Bees, I knew I was shaking things up more than a little, but I wanted to show that there are other truths, not just that one "single story." I wanted to add one overloooked but necessary piece to the puzzle of the Mexican story. My novel has roots in the stories my grandfather would tell me about his prerevolutionary life in Linares. When I started writing the book in 2010, Linares and my usually peaceful and safe hometown of Monterrey were ground zero in the drug war. Many thought our cities had never before suffered any type of violence. They were wrong, as just two generations prior, in 1910, we had been through the hell of revolution. How can war be forgotten? I considered this collective amnesia and newfound fear and let them permeate into my writing and into my characters. But even though The Murmur of Bees illustrates a missing piece in history, it's not a historical document. It's a work of fiction about the human experiences set against the backdrop of a terrible war. It's about love for land, life, and family and of the betrayal that could end it all. It's a sensory invitation to remember, to connect no matter who, where, or when we are; to listen closely, and to imagine. In The Murmur of Bees, Linares landowners Francisco and Beatriz Morales try to save their family from the ever more incomprehensible civil war that seeks to strip them and their children of roots, land and life. Lazaro the resurrected and his comings and goings to and from life after death are possible. Here - as if by magic - an abandoned, disfigured newborn covered in a living blanket of bees is a reality and an unexpected hero. Simonopio was born out of my fervent wish for someone like him to guide and save us - Francisco Junior, my other characters, even myself - to try to take away history's (and politicians') right to determine our destinies. Simonopio is silent but his message resonates. He listens to the murmur of his winged teachers and understands. Together with Nana Reja and his bees, he forms a triangle of creation. They are the source of magic in the novel. It's the magic of nature itself. Books: Robert Dugoni's "The Eighth Sister"